If your order weighs less than 13 ounces, save huge on shipping with USPS first class (with tracking number). This product weighs 9.7 oz. 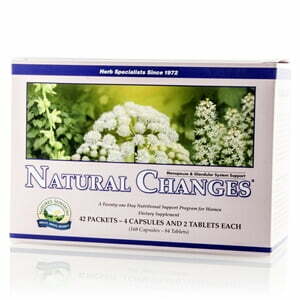 Nature’s Sunshine Natural Changes® Provides the necessary nutrition needed for mature women in easy-to-use packets. 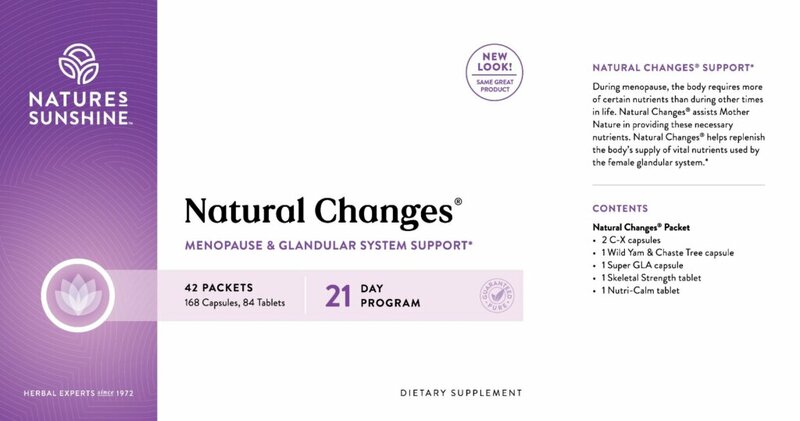 Natural Changes® Provides the finest herbs, essential fatty acids, and antioxidant nutrients to nourish the body naturally to help cope with the decrease in hormone levels due to menopause. Instructions: Take the contents of one packet with the morning meal and another packet with the evening meal. Drink one glass (8 ounces) of purified water with each packet. This represents a 21 day supply. 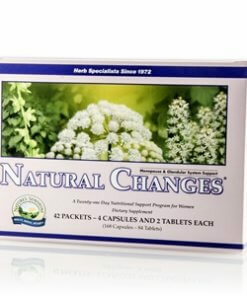 Each packet contains two capsules of C-X (black cohosh root, squaw vine herb, licorice root, blessed thistle herb, eleuthero root, false unicorn root, sarsaparilla root), one Skeletal Strength® (for structural support), one Wild Yam with Chaste Tree, one Super GLA (provides essential fatty acids) and one Nutri-Calm® (an excellent source of vitamins B and C).